Hip replacement surgeries are the operations for hip fractures in which the old hip joint is replaced with an artificial one due to attrition and old age. It is performed when there is hip arthrosis, rheumatism diseases, hip fractures, or bone attrition of the femoral head due to the interrupted or reduced blood supply diseases of the bone. Although these are surgeries performed for patients with advanced age (60 and above), there can be changes depending on the type of the disease and its uptake. The surgery lasts approximately two hours while the anesthesia method to be used may change according to the peculiarities of the patient. Structurally distorted femoral head and the socket are removed and then replaced with an artificial joint made of materials like metal, plastic and ceramic. These materials can be attached to the bone with or without cement. The type of prosthesis to be used and the method of attaching it to the bone are determined according to the patient and the condition of the bone. Each artificial joint has its own durability period. In optimal conditions and with the proper surgical techniques the, life span of a modern prosthesis is about 15 to 20 years. The period of use depends on the age, weight, and the activity level of the patient. The length of hospital stay after the surgery is 5 to 7 days; in this period patients will receive trainings for sitting, using the toilet and going up and down the stairs. On the fifteenth day after surgery, the stitches are removed and medical dressings are terminated. In the period after the surgery, infections, blood clotting in veins, dislocations and loosening of prosthesis can be seen. The problems are treated according to their underlying causes. Increasing the joints’ range of motion and strengthening the muscles around the hip with a pre-operation physiotherapy program will create an advantage in the recovery process after the surgery After the hip prosthesis surgery, movement therapy is started under the guidance of a physiotherapist from the first day. The main goal of early physiotherapy is to ensure that the patients regain their mobility as soon as possible; they manage personal care activities independently (like going to the toilet); and it is also to prevent the problems that may arise due to staying in bed for an extended period If the patient’s total situation permits, s/he may start standing up on the second day. The decision of the doctor and the type of prosthesis (with or without cement) will determine how much weight bearing can be done on the operated leg. Patients who had the hip prosthesis using cement are generally allowed to walk while putting their full weight on it starting from the first day and they also begin walking training with walking aid devices. As sufficient bone recovery takes at least six weeks when prosthesis without cement is used, walking training with the walking aid device is initiated without putting any weight on the leg, or only pressing on the tip of the toes during the first weeks. Patients who have received a hip prosthesis that allow them to put their whole or partial weight onto the leg should use assisting devices for two months while walking. Exercises in bed are initiated by a physiotherapist from the first days to strengthen the muscles around the hip and knee and also to be able to move the joint without pain. For early recovery, it is important to complete the exercises given exactly as they have been explained and as frequently as recommended. Anti-embolism stockings should be worn especially while walking. Perthes disease was defined in 1910 by three different surgeons named Leg, Calve and Perthes. It is a disease that occurs during childhood by the temporary failure of the blood supply to the femoral heads’ epiphyseal plate. As a result of this failure, the femoral head loses its vitality and avascular necrosis occurs. The bone that lost its vitality is moved away from this area of the body and the new bone structure starts to form. Necrosis may affect the femoral head partially or entirely. As a result of this, the femoral head starts disintegrating and loses its circular shape. While the main cause of Perthes Disease is unknown, it is thought that blood flow disorders affecting the hip joint during the growth is the cause. It is more frequently seen in boys at the ages of four to ten. Clinically, in children, there is a limp, pain in the hip and knee areas and restriction of motion that is observed a few weeks in advance. While experiencing pain, they tend to walk by shifting their weight away from the painful area. In the advanced stages, contractions of muscles and extremity shortness may occur because of the restriction of hip motions. In later stages, a permanent damage caused by osteoarthritis may follow in the hip. During the treatment, it is important not to put weight on it until the disease is fully treated. Since this disease takes 2 to 3 years to heal, it is important to rest the hip when the complaints increase. According the stage of the disease, sometimes bracing may be an option to ease the load on the hip. In advanced stages, if disorientation due to severe femoral head distortion occurs, surgery may be necessary to re-establish the proper alignment of the joint. The goal of these operations is to impede the negative effects of the disease. For some patients, hip arthrosis may occur after the age of 40 and prosthesis surgery may be needed to resolve the complaints. It is a painful disease generally seen in patients between the ages of 30 and 50. It is a devastating disease that distorts the hip joint and progresses through different stages. As a result, different types of surgeries can be performed according to the stage of the disease. Actually, osteonecrosis means the dead bone. While the cause is not fully understood, it can be seen along with alcohol usage lung, liver, and blood diseases. The treatment is determined according to the condition of the femoral head of the hip joint. In order to see the degree of the deterioration of the hip, a bone scintigraphy, x-ray, or magnetic resonance scan should be performed. 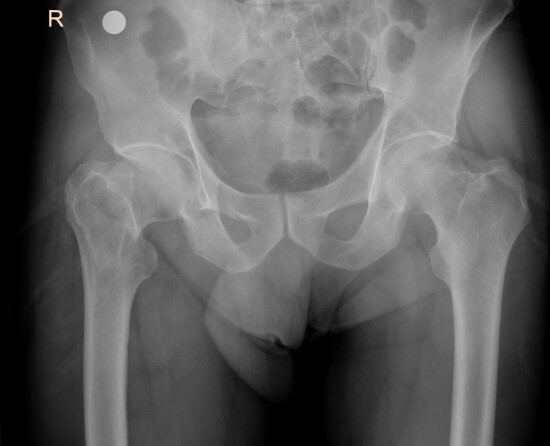 These examinations will show to what extent the femoral head is affected, or remained intact. The symptom due to the loss of its circular shape, which is called ‘collapse’, is seen in the advanced stages of the disease. When the disease progresses severely, joint deformity and arthrosis occurs. The method of opening a channel in the bone called "Core Decompression" is successful up to 70 percent of the patients in stages I and II. Following this method, the thin external bone that is called the fibula is taken from the leg bones along with its vessels and transplanted to the hip. With microsurgical repair during this operation, the transplanted bone can transfer its healthy cells to the affected bone. With this operation, called vascularized fibula transfer, we see a success rate up to 90 percent in early stages. As the disease reaches stages 3-4-5, the success rate of the fibula graft decreases. 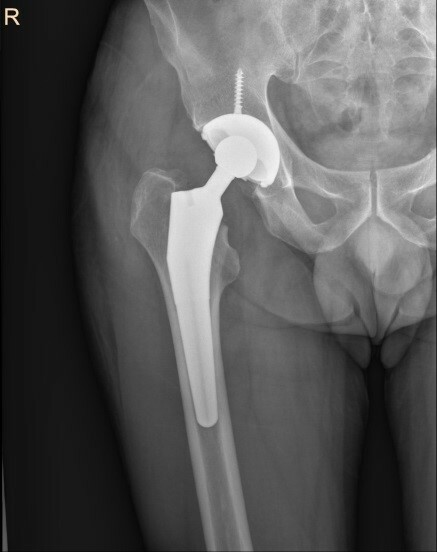 Some patients may need additional operations like hip arthoroplasty / surface arthroplasty in the future. The main objective is to delay the deterioration in the hip joint and protect it until the patient is at an age when prosthesis can be used. However, with the advanced technological opportunities, it is possible to utilize a hip prosthesis even at younger ages. It is important for the doctor to make this decision while taking into consideration the characteristics of the patient. In case of septic / aseptic implants loosing secondary operations may be required. A hip prosthesis can last for over 15 years in optimal conditions.